90-Ball Bingo is the most common version of bingo found in the UK, Australia and some parts of Europe. As opposed to the traditional American version of 75-Ball Bingo, 90-Ball Bingo is played with 90 balls and bingo tickets, rather than cards. A 90-Ball Bingo ticket has 9 columns and 3 rows. Players will buy one sheet of six tickets, containing 90 numbers. While each row contains nine squares, only 5 of the squares are numbered with the remaining four left blank. Numbers range from 1 to 90, with all 90 numbers on each sheet of tickets. Therefore, every time a number is called, the player will be daubing that number on one of his or her tickets. As in all bingo games, the object is to complete a pattern. However, the patterns remain consistent, where 75-Ball Bingo offers more than 300 patterns depending on the game. There are three possible winnings patterns in 90-Ball Bingo, One Line, Two Line and Full House (all three lines). A One Line Pattern is where the player manages to mark, or daub, all numbers in a single line. Once a player has achieved a One Line Pattern, that player will call bingo and win the pre-determined prize for that pattern. Then the game continues until a player wins the Two Line Pattern. A Two Line Pattern is won by completing two lines on a single 90-Ball Bingo ticket. Once a player has complete the Two Line Pattern, they will win the predetermined prize for that pattern, and once again gameplay continues until a player achieves a Full House Pattern. As you may have guessed by now, a Full House is won by completing all three lines of a single 90-Ball Bingo ticket. This awards the largest prize and finalizes the round of 90-Ball Bingo. Players will now purchase a new sheet of tickets and begin playing in the same manner. The prize for a 90-Ball Bingo game, unless otherwise specified, is determined by the number of players participating in the bingo game. A percentage of the total ticket purchases goes to the prize pool, another percentage may go to a progressive jackpot prize, assuming there is one, while the remainder goes to the online bingo hall who is supplying the game. 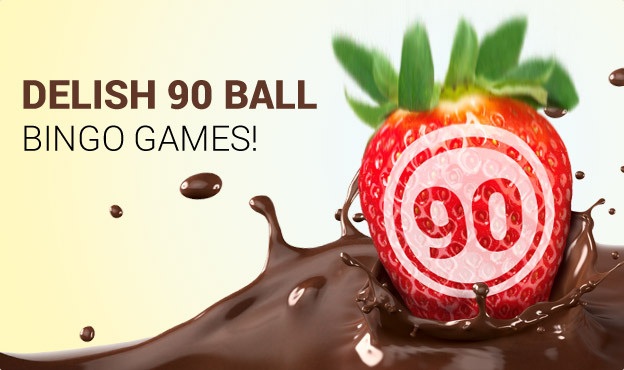 90-Ball Bingo games with a progressive jackpot will award the jackpot to any player who achieves a Full House within a certain numbers of balls called. For instance, at some online bingo halls, a player who achieves a Full House pattern within 30 balls will be awarded the jackpot. Some online bingo halls will provide a smaller jackpot awarded to a player who achieves a Full House in 34 to 38 balls.